Bolton YMCA is located in Bolton, England. 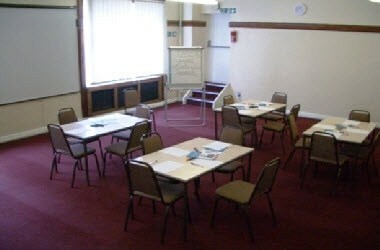 We have a variety of rooms available for hire to individuals, community groups and other organisations for meetings, functions and conferences at very competitive rates. So whether its a team meeting, a conference, training day, or community event - give us a try. We can also host private wedding functions and birthday parties for individuals, with catering facilities at very competitive rates.